The greatest pillar of democracy is Right to speak, Right to question and Right to gain information. All these common man’s rights are integrated and made into an industry with several individuals questioning and gaining information on behalf of ‘mango’ people and give them the information without any bias, Media. And when a Media questions someone it is like a Common Man questioning the person responsible and they have to give the answers without denying. What if Media takes it to their head and on their EGO?? Plot : A goody goody man who never does anything wrong even in his dreams, Krishnamoorthy (RP Patnaik) a physics lecturer who teaches Chemistry, leads a happy life with his wife Shravani (Anitha). Shravani teaches young children music as a home tutor. Krishnamoorthy works at Devaraya Junior College and there girl students are friendly with him due to his nature. But other lecturers and students feel strongly against him. One day a news channel Moodo Kannu (Third Eye) run by egoist Pratap (Sai Kumar) and his editor Jaya (Sri Mukhi). One day a girl from Devaraya complains about molestation against Krishnamoorthy, but the issue blows out of proportion due to channel spreading it out. Krishnamoorthy tries to defend his image against the tranishing and prove his innocence. Will he win it? Why did that girl complain to a media channel? Could he bring out the truth? What sort of difficulties did he face? Did anyone come to his aid? Find out the answers in a theatre near you. Performances : RP Patnaik once again tries to prove his prowess in acting and yet again falls short of his own expectations and demands as a story writer. He creates situations but fails to capture them effectively through his performance. He maintains a straight face and awkward body language through out the film trying to be a goody goody person but restrained and dignified is different from what he depicted. He needs some good actors to carry the acting burden on their shoulders. Anitha brings her serial acting on big screen once again. She looks million bucks on screen. Tanikella Bharani, Sai Kumar, Sri Mukhi are wasted in some aimless roles. The point behind creating such characters needed strong motive and even better pay offs. Nazar also was used to bring some momentum to the died down screenplay in third act but it proved to be a gimmick and nothing much.Veteran actor Gollapudi Maruthi Rao delivers a powerful monologue and proves what goldmine of talent he is. Gemini Suresh, Jayaprakash Reddy did their parts well. It is not their fault if we did not connect or laugh. Raja Ravindra and many more senior most junior artists in the film but none have any impactful scenes to deliver. Technicalities : Cinematography by SJ Siddharth is good in parts but there are tonal differences through out the film. Music by RP himself is not upto his standards. BG Score too doesn’t shine much or elevate the scenes in any way.Editing by Uddhav and dialogues from Tirumal Nag are there to do their job and they did it. Nothing extra ordinary, nothing hard hitting and nothing to take home.Story, Screenplay and Direction by RP Patnaik lack any kind of finesse. In a complete borefest and rehash of many serial kind of situations one wishes if he saw gem of movies like Jolly LLB, PINK, to some extent Rann that touched the social issues and presented them with gut wrenching reality and emotion. Few scenes depicted here are highly amateurish and they do not convey what is necessary to the subject. When there are scenes like a media office defending their stand against protestors, there are several scenes like other media houses rejecting content based on some reasons that are hard to fathom. However real they might you need to convince a person sitting in your screening about the proceedings or at least make it look as real as possible. Here the effort seems to be genuine but the execution seems like a stage drama. Why would any media house boss would shout in front of his office members on a outsider? Without knowing any details why would a editor give appointment to certain person that too who wants to clarify their stand? The third act is completely childish drama and ruins the entire impact however miniscule it was. One feels like sitting through a TV movie and a movie made by a film school student who has an idea but doesn’t know how to expand it into a screenplay. How to create interest among the audience? And how much of information is dispensable and how much isn’t? These are the kind of questions that a professional and that too work at a level that RP is working should posses. Unfortunately he again proves that he doesn’t want improve in that area. Analysis : A satire or a social message should be grounded in reality but not in some silly looking sequences. However, covinced you might be about your point and satire if that looks foolishly woven for some commercial pay off it makes you cringe and fringe about how come this kind of movie making is still relevant in a world that is trying to move forward. In Telugu and Tamil, there used to be a great satire writer and filmmaker, Visu, who made wonderfully enjoyable satires even though at times some resolutions looked silly, the pay off from the set up with actors and characters were amazingly interwoven to central theme. 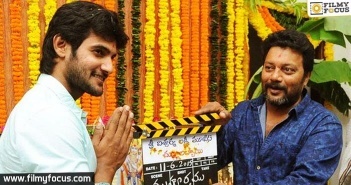 Hope those filmmakers in Telugu those who have fire to deliver socially relevant films, watch them once, twice, thrice and n number of times until they get them. Could have been a worthy socially relevant satire but fails to capture the nuances that were highly required to make it convincing enough. 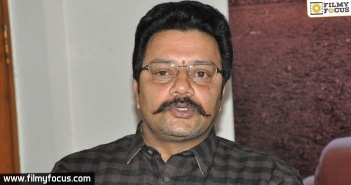 Rajasekhar once again as a powerful officer!